Agents should make sure they can hold onto their contacts, get adequate tech training and seek to negotiate discounts on products. 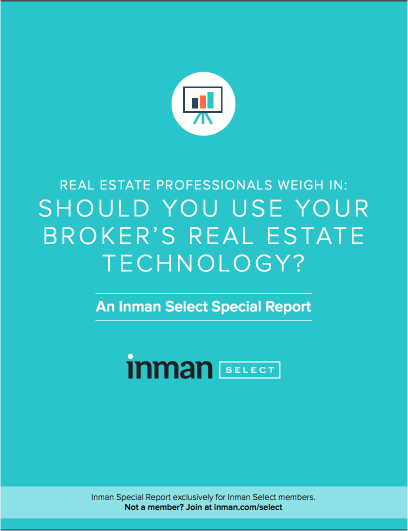 The degree to which an agent should source tools directly from vendors largely depends on her experience, productivity and affinity for technology. Broker-owners can burnish their tech offerings by improving simplicity, training and integration, and generating leads for their agents. Independent brokerages are well equipped to snap up cutting-edge products and motivate their agents to use them regularly. Franchisees can serve up bundles of tools at affordable rates, thanks to packages handed down by their franchisors -- but they may be inclined too lean to heavily on these offerings. Cathy Daniel, an agent at Brentwood, California-based RidgeWater Real Estate Services, said she learned the hard way that using a company email address can come back to bite you. Leaving behind a company email address after she switched to a new brokerage caused one of her prospects, an older couple, to hire a listing agent who shared Daniel’s name and hair color (blonde), she said.